Paddlers, made up of both novices and seasoned veterans, were greeted with opening remarks from both the City of Houston Mayor Sylvester Turner and Harris County Precinct Four Commissioner Jack Cagle. Both elected officials were there to highlight Greens Bayou and reiterate the importance of Houston’s waterways. Kayaks, canoes, and even several stand up paddle boarders spent the morning exploring the nature of Greens Bayou. The Port Houston team took the opportunity to collect trash from several areas along the bayou and earned the prestigious Styrofoam Cup, the award for most trash collected along the Greens Bayou race course. 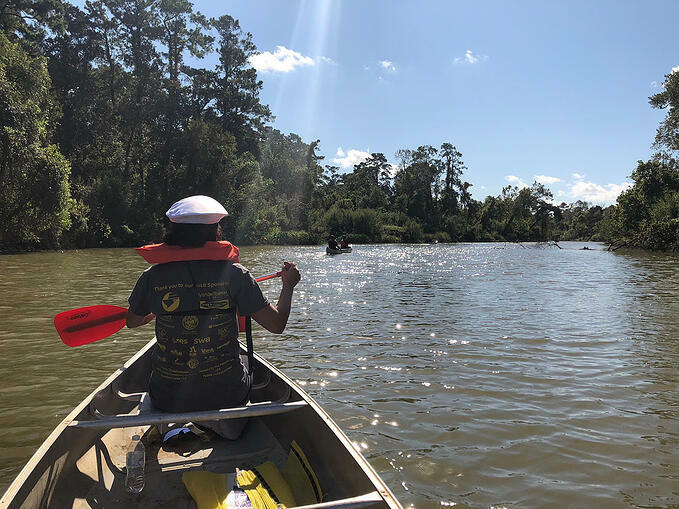 Funds raised from the event go directly to the Greens Bayou Coalition to assist with its work of highlighting the importance of conserving Houston’s waterways and watersheds.